YouTube is currently the world's most popular video-sharing website owned by giant search engine Google. It's a platform where you can watch any kind of video and can also share your own original content. Due to some privacy reasons, YouTube doesn't offer any feature to download videos hosted on its server. Now what if you want to watch your favorite video over and over again, even if you're not connected to the internet. To solve this issue, YouTube has added a new feature in its mobile applications which lets you save your favorite videos offline in your phone. Although, these videos are encrypted and you can't access them directly via media apps other than YouTube itself. 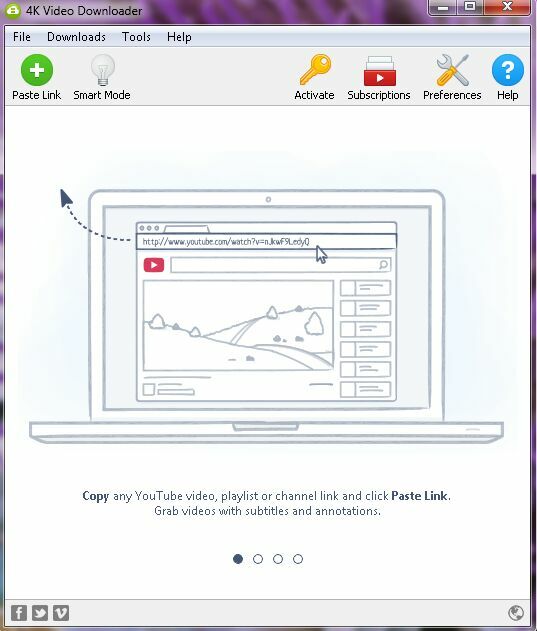 Currently, this feature is limited to mobile applications only and there is no such option available to save videos offline on the computer. So how you can download YouTube videos? Hopefully, there are a couple of third-party applications available for desktop users which can help you to download YouTube videos for free. This is what we are going to discuss in this tutorial. First, download and install 4K Video Downloader application in your system. 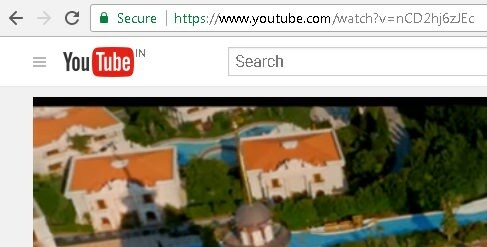 Now go to YouTube and open the video you want to download. Copy the video link from the browser's URL tab. After this, open 4K Video Downloader and tap the "Paste Link" button. Now you will be asked to select the video quality, file format and output directory. There are a number of options available from 4K to 1080p to 240p. You can also download subtitles and audio part in MP3 format. Once after configuring the settings, tap the "Download" button. That's it. You can also enable smart mode in this application which allows you to download videos in one click. You can set default download settings such as format, quality, and output destination only one time and the application will apply your settings to all downloads. 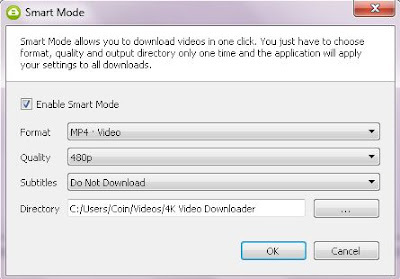 To enable this feature, open 4K Video Downloader and tap the "Smart Mode" option. Now tick-mark the enable button and set default download settings as per your own choice. 4K Video Downloader allows you to download all channel videos at once. 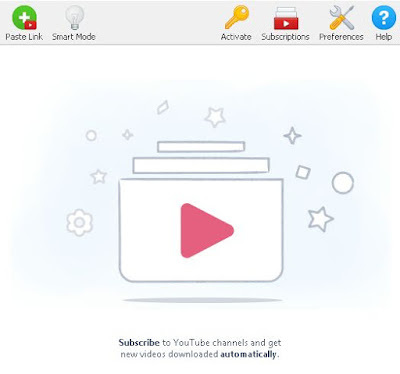 Furthermore, you can subscribe to your favorite YouTube channels within the program and get new videos downloaded automatically. This is a premium feature which you can unlock by providing a license key. 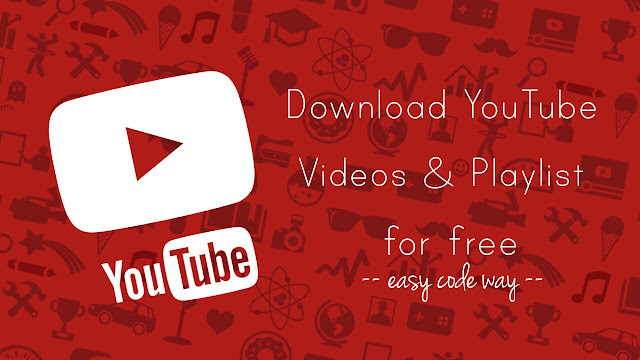 Imagine if you want to download a number of videos from a YouTube playlist. Instead of downloading them one by one, you can easily download the whole playlist with 4K Video Downloader. All you have to do is, copy the playlist link from the browser and paste it in the application. 4K Video Downloader isn't limited to YouTube only, you can also download videos from other sites like Facebook, DailyMotion, Flickr, Vimeo etc. So what are you waiting for? Go and start downloading your favorite videos now. If you want to ask something about this tutorial, feel free to share in the comment box.